ALERT: The former white-blazed Horse Pond Mountain Trail between Lake Riconda Drive and where it meets the Highlands Trail has been blazed as a Highlands Trail Connector Trail. The blazes are teal diamonds with black centers. The rest of the former white rectangle / teal diamond-blazed Horse Pond Mountain Trail has been reblazed with teal diamonds only. Length: 33.4 miles Click on the icons in the text below for photos. 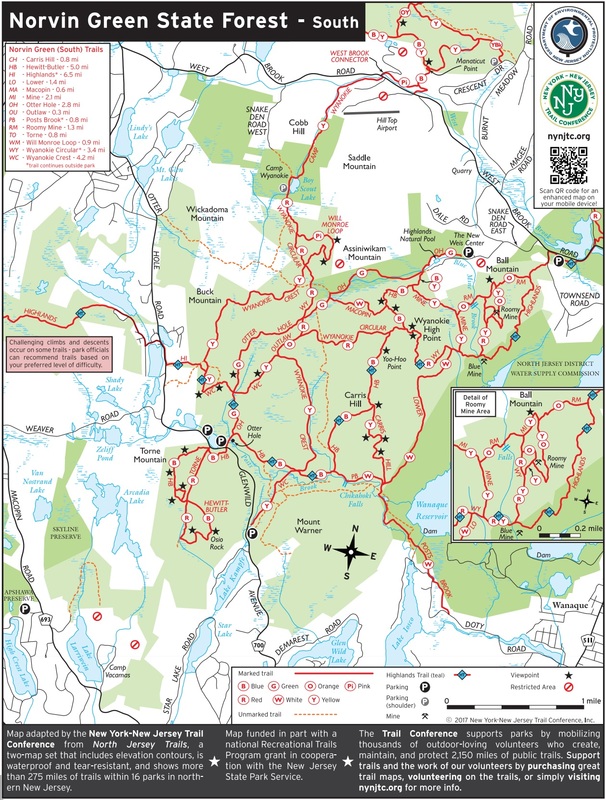 Note: A hiking permit is needed to hike in the Newark Watershed, which the Highlands Trail traverses between Algonquin Way and Rock Lodge Road. Obtain a permit by calling (973) 697-2850 or visit the Newark Watershed website for more details. Hunting Note: Some of the Highlands Trail on the watershed property experiences closures due to hunting seasons. Going south from Route 511, follow the co-aligned Hewitt-Butler (blue) and Highlands Trails for 1.0 mile. Turn left onto the co-aligned Horse Pond Mountain (white) and Highlands Trails (soon to be teal diamonds only) over Horse Pond Mountain for 3.0 miles to the terminus of the Horse Pond Mountain Trail at the Stonetown Circular Trail (red). Turn left onto the co-aligned Stonetown Circular and Highlands Trails, descending to Stonetown Road near the Monksville Reservoir at 5.1 miles. Cross Stonetown Road, re-enter the woods, and reach a junction with the Highlands Trail Connector Trail (black diamond on teal diamond) at 6.4 miles. Note: The 0.2-mile Highlands Trail Connector Trail leads out to White Road, where parking is available. Continuing on the co-aligned Stonetown Circular and Highlands Trails, cross Board, Bear, and Windbeam mountains. 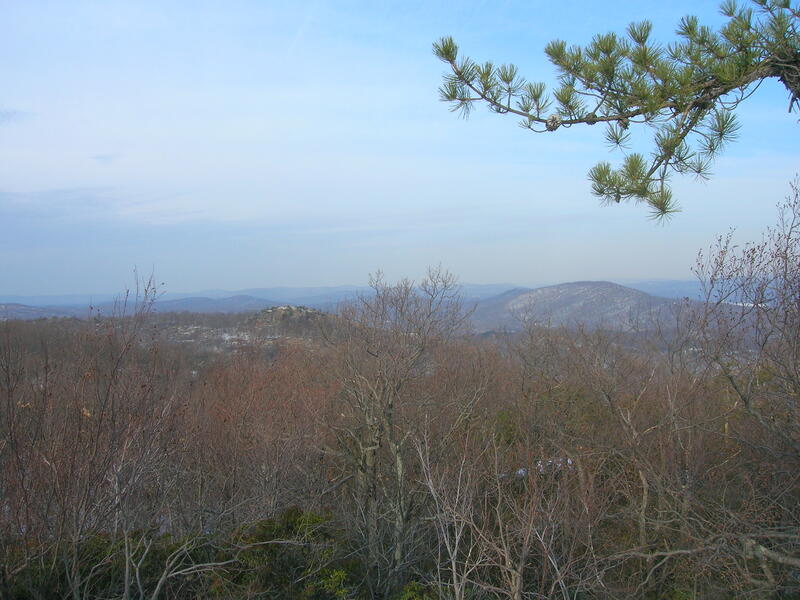 On the way down Windbeam Mountain, leave the Stonetown Circular Trail and turn left on the Highlands Trail, reaching Stonetown Road again at 9.9 miles. Turn left onto Stonetown Road, bear right onto West Brook Road, and in a short distance turn left into the woods, reaching Townsend Road near the corner of West Brook Road at 10.4 miles. Turn left on Townsend road, and in 385 feet turn right up into the woods across from the first house on the left. 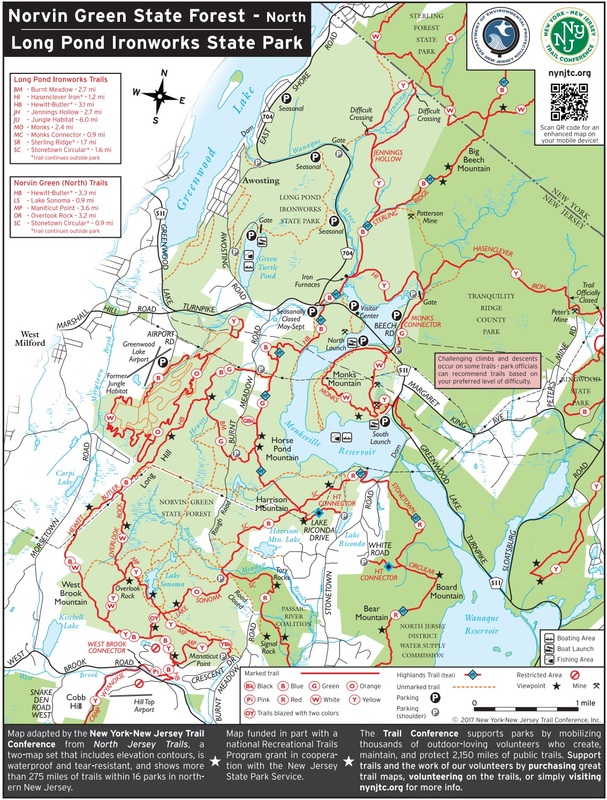 Proceed mostly uphill, crossing Ball Mountain on many bare, rocky areas and passing the trail head of the Roomy Mine Trail (orange) before descending to a junction with the Mine (yellow on white circle) and Wyanokie Circular (red on white circle) trails at 11.7 miles. Turn left on the three co-aligned trails. On the left is the flooded shaft of Blue Mine, and on the right is a bridge across Blue Mine Brook. Turn right and cross the bridge on the three co-aligned trails. At 11.9 miles the Mine Trail leaves to the right. At 12.0 miles, the Lower Trail (white) begins on the left. 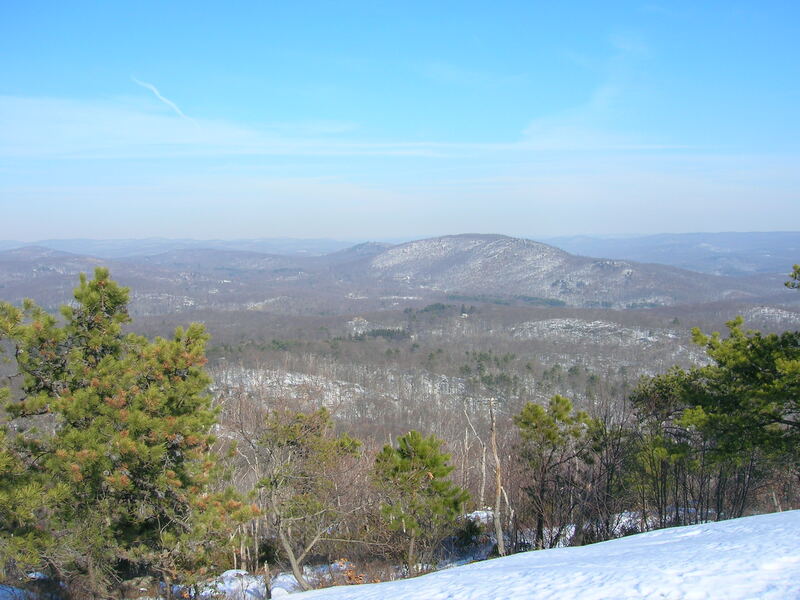 Continue on the co-aligned Highlands and Wyanokie Circular trails up to the top of Wyanokie High Point at 12.7 miles. Follow the trail a short distance down a steep, rocky trail to a junction with the Hewit-Butler Trail (blue). 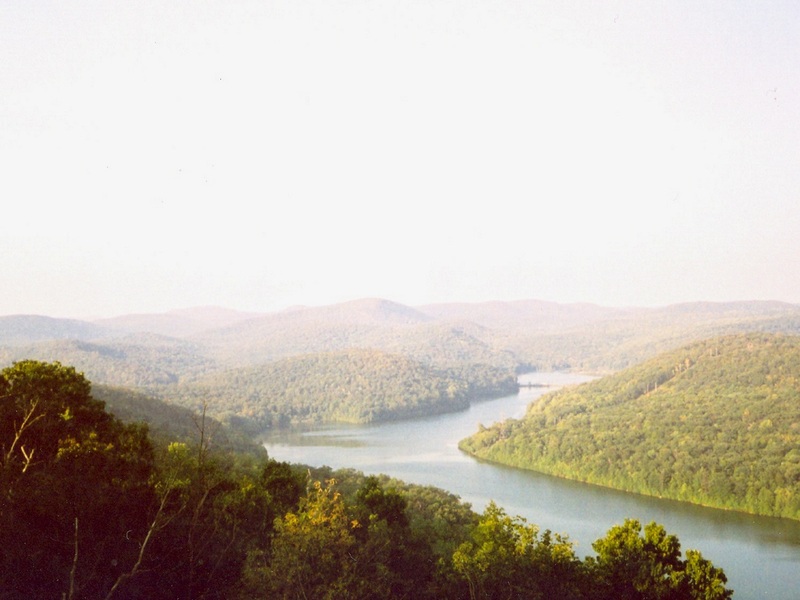 Turn left onto the three co-aligned trails for 0.2 mile, where the Wyanokie Circular Trail splits off the right. After 0.5 mile, the Carris Hill Trail (yellow) starts off to the left. Proceed on the co-aligned Hewitt-Butler and Highlands Trails to the Post Brook Trail (white), which starts off to the left as the joint trails turn right at 14.2 miles. 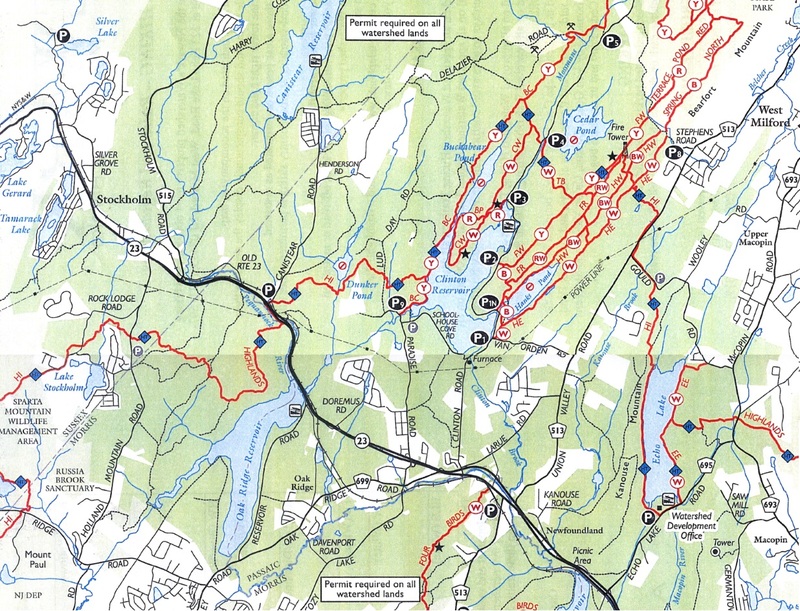 In 0.3 mile, the Wyanokie Crest Trail (yellow) comes in from the left and joins the Highlands and Hewitt-Butler Trails for 0.1 mile before leaving to the right. 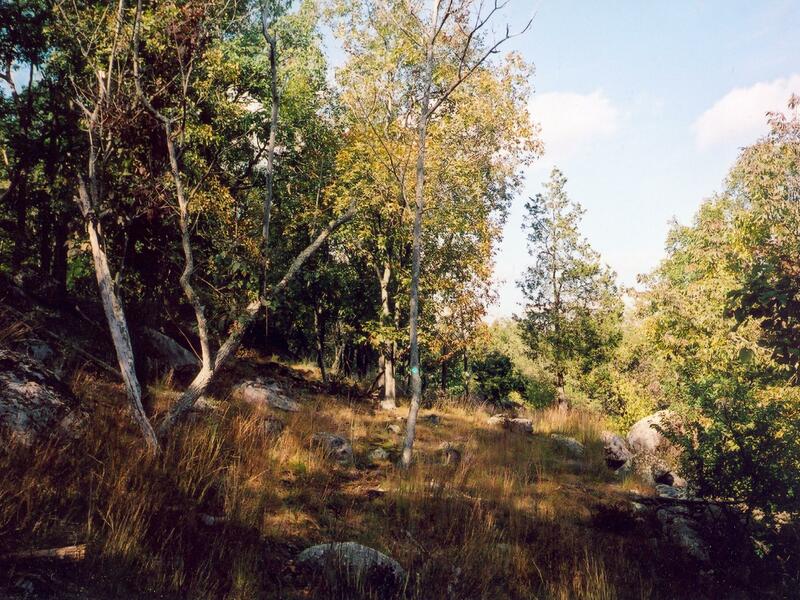 In another 0.5 mile, near the Otter Hole, the Hewitt-Butler Trail turns left. Turn right onto the co-aligned Otter Hole (green) and Highlands Trails, reaching the junction with the Wyanokie Crest Trail (yellow) after 0.4 mile. 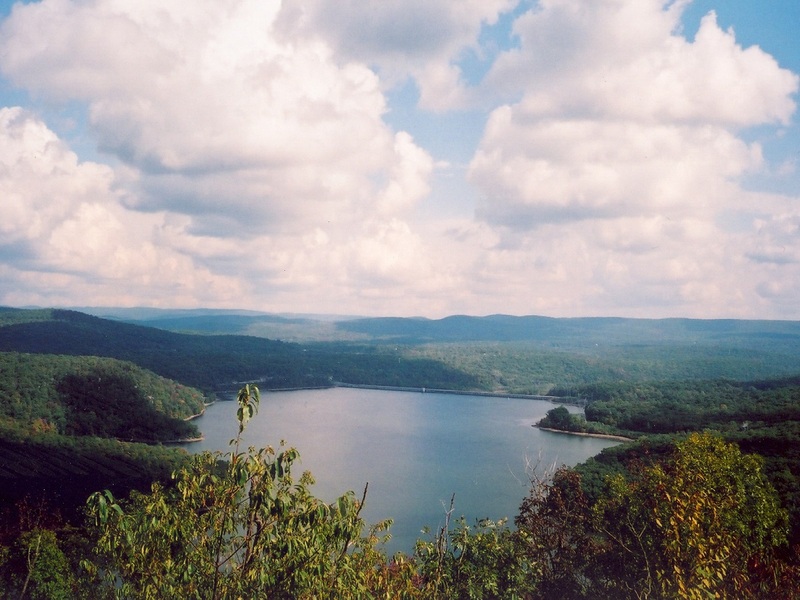 Turn left onto the co-aligned Wyanokie Crest and Highlands Trails, climbing Buck Mountain. 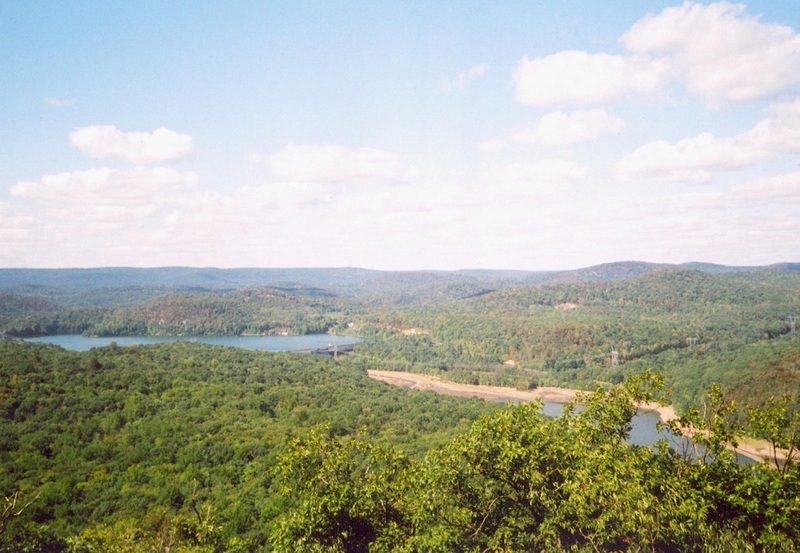 After 0.5 mile, turn left off the Wyanokie Crest Trail proceed down to Otter Hole Road at 16.4 miles. Turn right onto Otter Hole Road and follow it for 0.2 mile, then turn left onto Crescent Road. Turn right at a 'T' and follow Newton Road to Algonquin Way, at the end of which reenter the woods at 17.1 miles. After about 1.1 miles, you will be on Newark Watershed property, reaching Macopin Road after another 0.8 mile. Turn right on Macopin for a short distance, then left off the road. After another 0.2 mile of hiking trail, follow woods roads for 0.6 mile to the remains of an old hotel on the right. Continue down the hill for 0.3 mile to Echo Lake. Turn left and proceed along the lake, emerging on Echo Lake Road. Turn right, reaching the Newark Watershed office, with parking, at 21.5 miles. Follow the road from the parking lot down to Echo Lake and across the dam. Follow the west shore of Echo Lake north and then ascend a hill to Kanouse Road at 23.7 miles. Turn right on Kanouse Road for a short distance, then left into the woods. Turn left onto Gould Road at 24.7 miles. and in 0.2 mile turn right off of Gould Road into the woods onto a trail that closely follows Gould and Union Valley Roads. Cross Union Valley Road at the power lines, then turn left back into the woods and continue on a trail paralleling the road. At 25.5 miles, turn left, heading away from the road. Ascending ridges, cross the Hanks East and Hanks West Trails, reaching the Bearfort Ridge fire tower at 26.7 miles. From the fire tower, follow the co-aligned Fire Tower West (yellow) and Highlands Trails south for 0.9 mile. Turn right onto the co-aligned Two Brooks (white) and Highlands Trails, reaching Clinton Road at 28.6 miles. Turn left onto Clinton Road for a short distance, cross a bridge, then turn right off of the road into parking area P4. From here, follow the co-aligned Clinton West (white) and Highlands Trails. After passing through a wet area, then left uphill on an old abandoned oil pipeline. In 0.2 mile, the Clinton West Trail (formerly the HT route) turns left. The HT continues on the old pipeline down into a ravine and steeply back up for another 0.2 mile until you reach the junction of the yellow-blazed Bearfort Waters/Clinton (BWC) Trail. Turn left on the co-aligned BWC/HT Trails along a ridge top. In 0.6 mile, pass below a very large erratic rock. Caution: Blazes are sparse in this ATV traffic area. In either direction, the trail goes straight across the open area below the large erratic rock. There are rattlesnakes in this area – particularly on the shelf below where the trail passes. 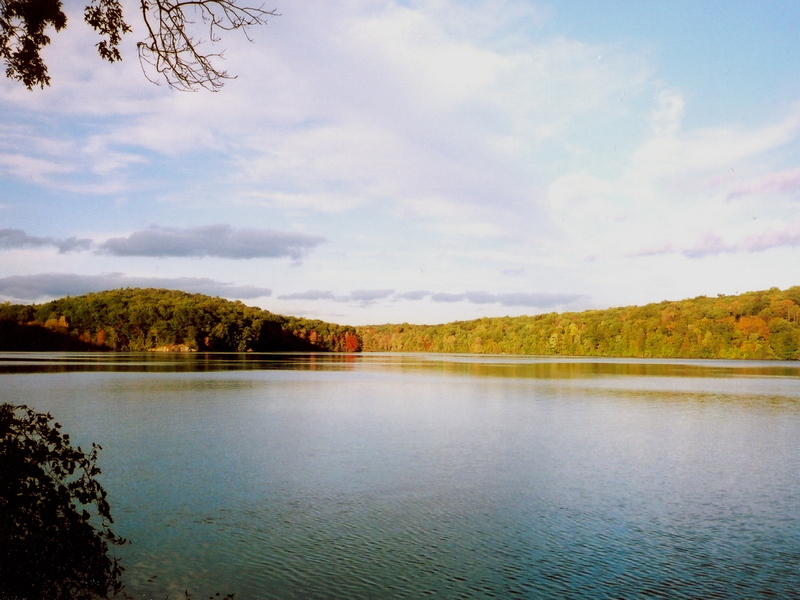 Cross a stream and proceed downhill to where Buckabear Pond meets the Clinton Reservoir, passing a Beaver dam on your left (formerly the Clinton West/HT Trails) at 30.5 miles. Turn right, and follow a dirt road along the Clinton Reservoir on the BWC/HT (formerly the white-blazed Clinton West/HT) for 0.8 mile to where the HT turns right, leaving the dirt road and the BWC at 31.3 miles. 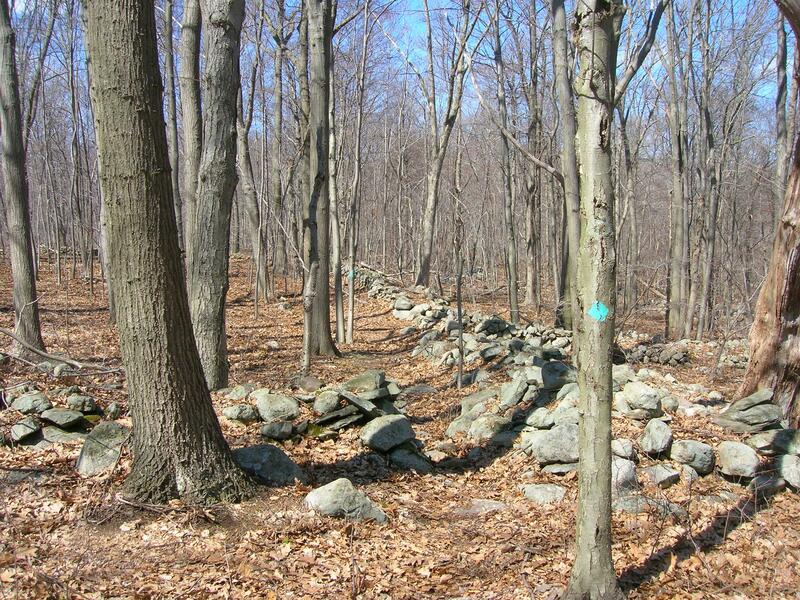 In the next 2.1 miles, you will cross two woods roads and some well-preserved stone walls to reach Dunker Pond. Follow the stream out of Dunker Pond a short distance, then turn right to cross the stream, which has steep banks. After following some ATV tracks, turn left up a hill. 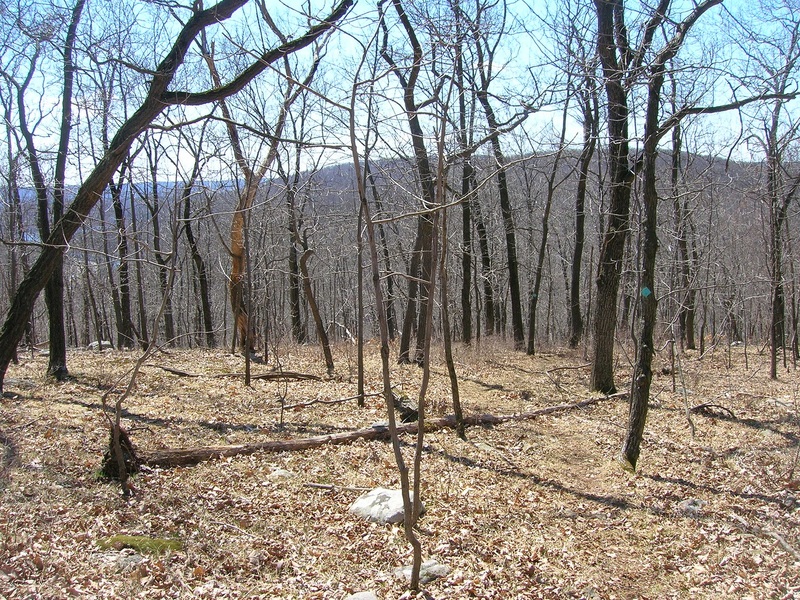 After traversing the relatively level top, descend to Route 23 at Canistear Road, 33.4 miles from Route 511, where parking is available.